The stones whispered “connection” to me. It took a while. A whole year, and the answer came from a different place entirely. Stones are like that. They just exist at a slower pace. Their connection spans the earth, through the crust of the planet. Sea, Sky, Land, from the changes that occur in the space of a deep breath at the planetary timescale, to the eons-long drift of the continents. 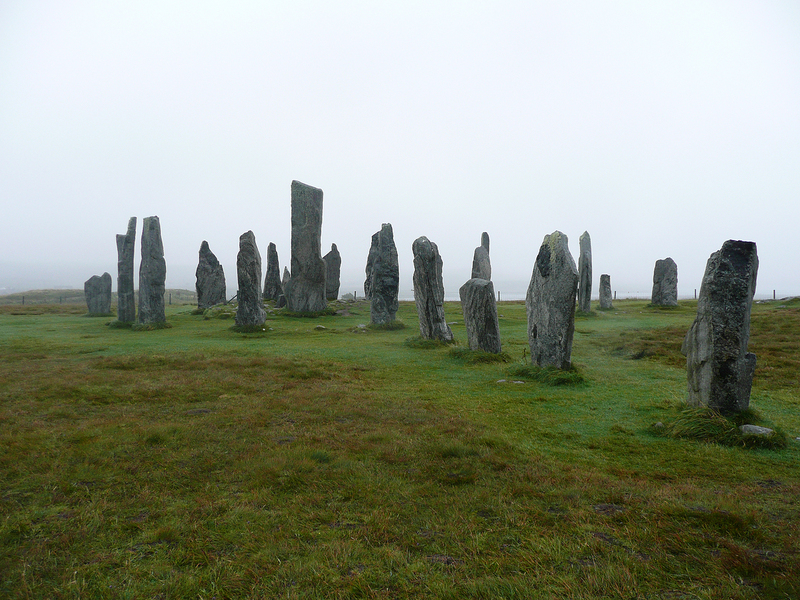 One year I stood silent and listening at Calanais, the next, at Long Meg, I heard. We have a hard time listening, we humans. There is so much to be heard around us that the subtle gets drowned out. The night sky is dimmed by our lights, the soundscape of the planet dulled by our sounds. Answers that come softly and slowly over time are often missed, with all the distractions of daily life. Luckily for us, the conversation the universe is having with us is never over. We just have to get quiet enough to hear it. The plants on a hillside will tell you where the water is, if you take the time to look. What do the weeds in your yard tell you about the soil? Are there crickets in your neighborhood? Where do the birds gather? More importantly, what does each small nudge of awareness say deep inside you? Spending time in the same place has rooted me in it. I was born in the San Francisco Bay Area, and have never really left it. Truly, where you have done your living is the measure of your life’s connection to land. I have watched the land change here, returning to the same places year after year. The trees that formed the back of the grove at Mt. Tam are fallen now, returning to the land. Trees that were seedlings when I first came here are now taller than I am. I had to leave for a time to get a different perspective on home. Even a month caused me to see my land with new eyes. Returning from Albion allowed me to see two different Octobers, side by side. Green grass and gold, rushing waters and dry creekbeds. The smell of home is much stronger after a journey elsewhere. I was fortunate to have two trips, almost exactly a year apart, to the same place. I was able to spend time walking through the same Welsh forest, and come back to the same place in California at the same season. The first thing I noticed was the smell. High notes singing in my head, the smell of dry grass, oak and bay laurel. Powdery and golden in my nose, the incense of summer in California, it builds as the months without water pass, enduring until the returning rains wash it from the air and replace it with the crystal smell of water. 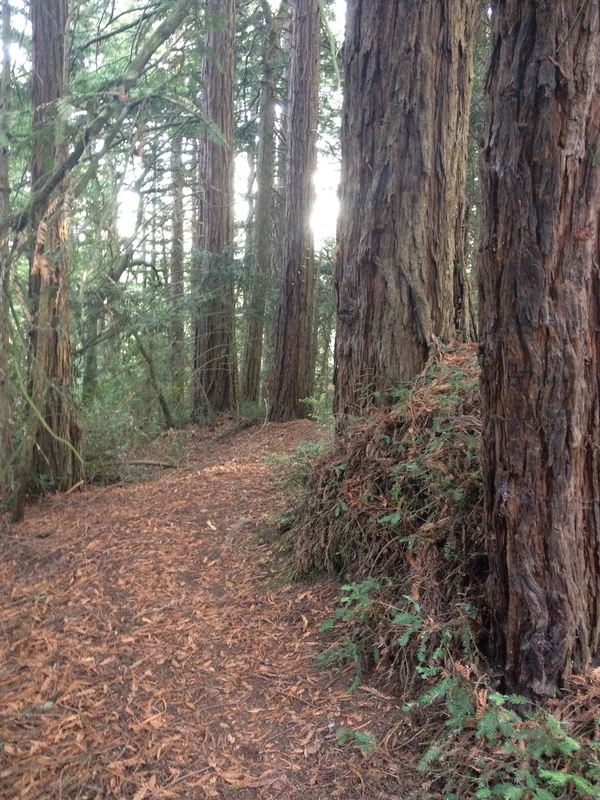 As I walked farther down the trail, I was embraced by the forest coolness. Brown redwood needles underfoot, gold to copper, and the darkness in their groves. The huge trees towered over me. It was so different from the Welsh faerie forest, some large trees but most of the trees I saw there would be dwarfed by these redwoods. I stood in the middle of a city, but here beside the barely running creek the last remnants of the forest reigned. 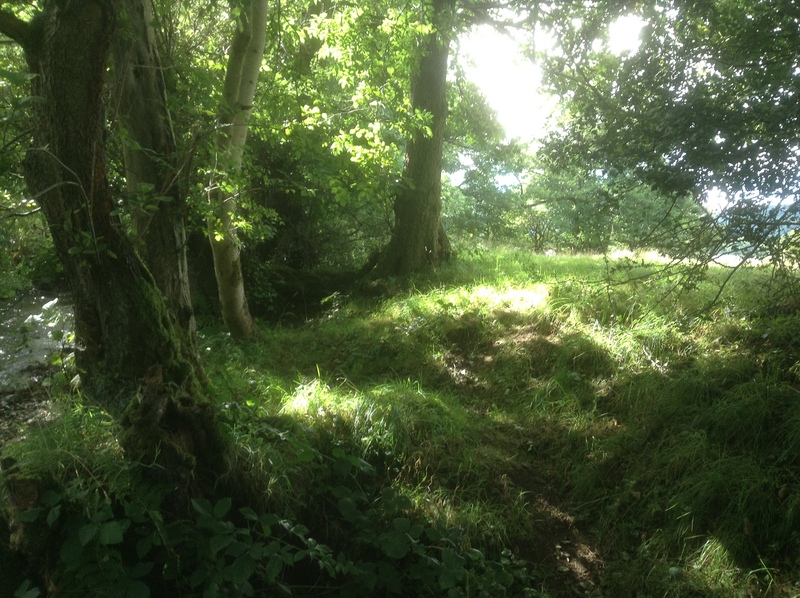 I took a number of walks after each trip, to talk to the forest and to look for the connections between this place and the ones 5,000 miles away. It’s as if I’m walking through an Albion newly discovered, the forests still, if not intact, large enough to lose oneself in, given a little imagination. This land might have looked like primeval home to the Northern Europeans, who followed the Spanish, who both wrested this land from the First Peoples. There are place names reminiscent of Scotland, the town of Inverness, and Ben Lomond down south. Now that I have seen a bit of Scotland I understand why. The rocky, craggy shores of California were once part of a great temperate rain forest that stretched across the northern hemisphere, and remains of it still can be found. 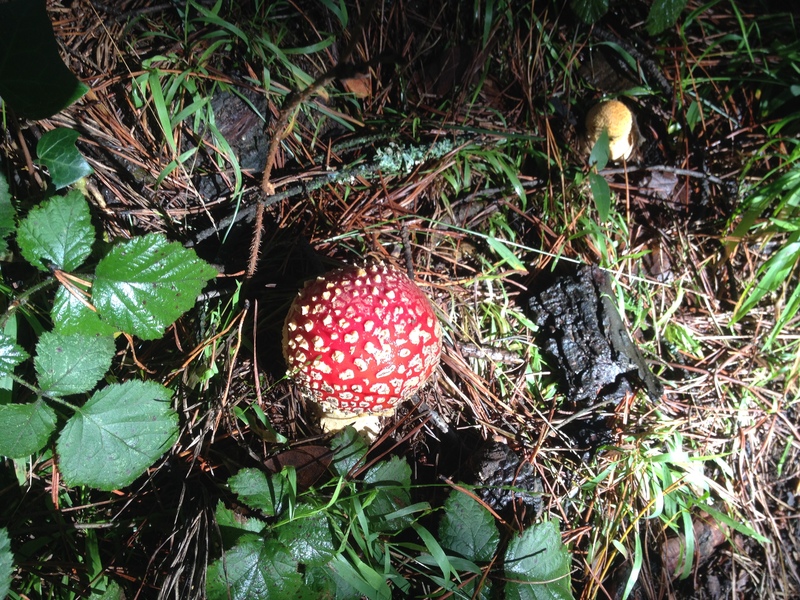 I chase fog, and in December, when what turn out to be the only heavy rains of that year arrive, I wander through our local redwoods and see the scarlet amanitas appear. We have remnants of forests, Albion has years of human habitation. Waves of it, leaving traces everywhere. Stone circles abound. What were they for? At Calanais, I was sure I didn’t know. Now, I know something they can teach us today. It took many hands, and many years to create these places. They seem to serve no purpose in keeping us alive–no food, no shelter, few remnants of human habitation from the time of their building. Their building was a cooperative effort, connecting their builders together, and the land as well. We humans right now are as connected as we’ve ever been–and as far apart. We turn people not like us into the grinning masks of our worst fears, yet I can get online and speak to my friends across the Atlantic in the time it takes us to check our messages. We humans have had a few moments of spectacular cooperation–the International Space Station and the founding of the UN being two that loom large in my mind, but we have also often left our most vulnerable to die. We have access to the rest of the world, on demand, but we don’t have a connection to it. In order to have a connection with people, you have to spend time with them. Working on a project together will create this. Working on something that will benefit people you will never see, your descendants, for example, or our world, is the task I think we’re all called to do right now. We have all lived close to five millennia since the first of these circles were built, and we are distanced from the daily lives of their builders in ways that make it easy to idealize lives lived in partnership with the earth. It is easy to forget that ancient peoples did these things because they had no choice, their culture drawing its strength from working in ways that let them harness the strength of the land they lived in, their technology having to be based on an awareness of how natural cycles worked because they did not have the strength or knowledge to do otherwise. Now, we’ve achieved power enough as a species to do as we please–for a while. We forgot, however, that we live in a closed system. This planet and what it is made of is all we have. If we exceed the natural cycles of life, by unlocking carbon from the land and sending it into the sky, with no provision for returning it to the land, we literally change the face of the earth, determining what can live, and where. We are doing this with little thought, as we can’t see the faces of the future. The pace of change is accelerating, but for so long it has been gradual, taking generations to pick up speed enough to be seen as a real series of events rather than just a series of measurements taken. It’s as if we climbed behind the wheel of a bus, drunk, and let off the brake. The bus has been rolling, slowly gathering speed, and we are fast reaching the edge of a cliff. If we assume responsibility equal to our power, in effect, apply what we already know as a brake, we could slow the speed of the changes, and learn how to work in harmony with the rest of the beings we share this planet with. As the builders of the circles of stone did, millennia ago. 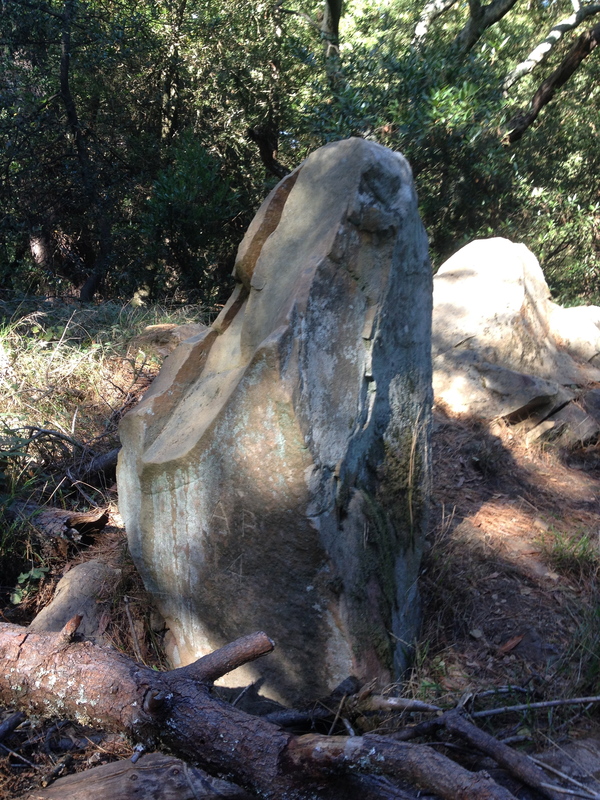 I walked the hills above my home until I came upon a rock that felt like Long Meg. When I sit there and let the stillness creep into me, I can feel my connection. A year and more have passed since I set my back against Meg, but the rocks of California remember. Next Next post: WOMAN!! Embrace YOU. YOU ”WOMAN” , are Extra ordinary ! !